AT&T filed documents with the FCC today seeking approval of the company’s planned $39 billion acquisition of T-Mobile, and Sprint responded in harsh terms. Specifically, AT&T is asking for the commission's approval to transfer spectrum licenses now held by T-Mobile USA to AT&T as part of AT&T's proposed takeover. It's an important initial step in one of the regulatory approval processes the AT&T must manuever (the Department of Justice being the other), and it states publicly why AT&T believes the takeover is in the public’s best interest (details below). The Senate and the State of New York also say they'll have a close look at the proposed takeover. But it's Sprint that is making the most noise today. 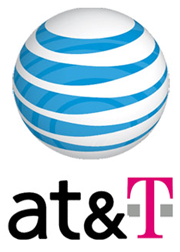 The company issued a statement voicing in no uncertain terms its belief that the AT&T/T-Mobile merger carries an enormous number of risks both to U.S. consumers and to the wireless industry overall. The deal would make AT&T the biggest wireless carrier in the US, followed closely by Verizon. Together, AT&T and Verizon would indeed control more than 80 percent of wireless revenue in the US. Sprint, meanwhile, would be relegated to a distant third-place contender. Some analysts have predicted that the AT&T takeover will be approved, but with the proviso that the telecom giant divest of certain network assets and move out of certain markets. Sprint’s having none of that either. “This proposed takeover cannot be fixed with conditions or divestitures,” McCann says. “We believe the facts and the law dictate that this transaction must be blocked, and are confident that the Department of Justice and FCC will determine that this takeover is not in the interest of the American public." In a nutshell, AT&T argues in the filing that the combination of the two networks would make better use of wireless spectrum, and create “synergies” (the removal of redundant equipment and people) in the combined network that would eventually improve service. Here are some of the more interesting tidbits. On spectrum: “The network synergies of this transaction will free up new capacity - the functional equivalent of new spectrum - in the many urban, suburban and rural wireless markets where escalating broadband usage is fast consuming existing capacity." On “synergies”: "The combined company expects to integrate a significant portion of T-Mobile cell sites into the AT&T network. Upon network integration, which will benefit customers in as little as nine months, this will equate to “instant” cell splits - increasing cell density and effectively doubling the amount of network traffic that can be carried using existing spectrum in the areas served by those cell sites.” AT&T and T-Mobile both currently operate GSM/HSPA+ networks and the spectrum to match." If you think Sprint’s mad about AT&T-Mo, check out consumer advocacy group Public Knowledge. “Over the next few weeks and months, AT&T will spend millions of dollars to persuade the government and the American people that their takeover of T-Mobile is in the public interest,” says Gigi B. Sohn, president and co-founder of the group. "All of that effort and all of that money cannot disguise the simple, fundamental fact that AT&T in this one transaction will fundamentally reshape the wireless industry in ways that will hurt consumers, raising prices, restricting innovation and limiting choice,” Sohn says. I'm personally sympathetic to Sohn's and Sprint's view. I might believe AT&T’s claims that its service could get better, faster, with the takeover. The addition of the T-Mobile network resources might improve voice call quality and enable AT&T to move more quickly toward providing fast 4G LTE service everywhere. But I don’t find much comfort in AT&T’s argument when I think about what the cost of wireless services might be well after the takeover is done. AT&T is doing this deal to get more users paying more of their paychecks for more wireless services. It’s not doing it to make things easier on consumers’ pocketbooks, or (chuckle) create jobs. The simple fact remains—there will be less competition in the wireless market if AT&T-Mo comes to pass. Am I supposed to believe AT&T when it says that will make things better, not worse?